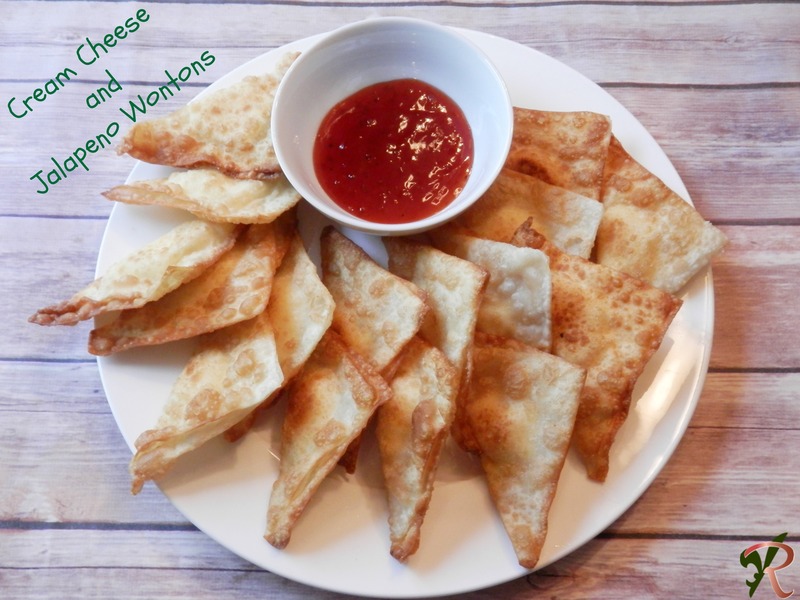 This recipe makes a great appetizer for any get together. These are quite simple to make and can be fried or baked at 350 degrees for about 15 minutes too. I love serving these with sweet and sour sauce, it takes the spicy bite way from the jalapeno. Dice your jalapenos and add to medium bowl with seasonings and softened cream cheese. Take one wonton wrapper, wet the edges and add about a teaspoon cream cheese mix in the middle. Fold the wonton over and make sure it is sealed. Continue until either wrappers are all used or filling all used up. Heat oil to 350 degrees in a fry pan. Add the wontons a few at a time, cook until both sides are golden brown. When fully cooked place on a paper towel lined plate to remove extra grease. Tips: you can use fresh jalapenos, you can also add ½ cup cheddar cheese to the mix. These special little snacks will be delicious! Thanks so much for sharing your awesome post with us at Full Plate Thursday. Have a great week and come back soon!